Home » Politics » What sets Lalu apart from other netas convicted in graft cases – Sukh Ram, A Raja, Jayalalithaa & Chautala? What sets Lalu apart from other netas convicted in graft cases – Sukh Ram, A Raja, Jayalalithaa & Chautala? Two days after RJD chief Lalu Prasad Yadav was convicted in one of the cases related to the fodder scam, his twitter handle sent out what then seemed like an innocuous tweet. “Dear friends! While in jail, My Twitter handle shall be operated by my office in consultation with family. I shall speak my mind through visitors. The fight to preserve the Constitution & protect the rights of vulnerable groups shall go on”, declared the tweet. About a fortnight later, it is now becoming clear that the necessity to tweet is a key pillar of the strategy devised by the former Bihar chief minister to counter the setback his conviction is likely to inflict. He has tweeted almost everyday since then and the central theme is to paint his conviction as a conspiracy of upper-caste 'fascists' and himself as their victim. सबको नीतीश समझा है का?? With every passing day, Lalu is sharpening this narrative because he needs it to spread and take root. In his scheme of things, it is the only tool to ensure that his core supporters do not desert his party during the period he will spend in jail. His prison sentence will run for 3 years, unless he gets bail. Not that this is the first time the veteran politician has been convicted and imprisoned. The many cases related to the notorious fodder scam have sent him to jail on multiple occasions, beginning with a judicial remand of 134 days way back in 1997. However, it is the genius of his politics that Lalu is still not just relevant to politics in Bihar, but is at the top of the game. 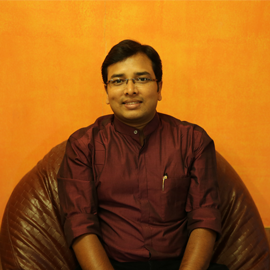 His party managed to retain its tally of 4 seats in Lok Sabha even in the midst of the Modi-wave in the 2014 polls. Lalu Yadav is neither the first nor the only politician in India convicted in a corruption case. From Sukhram to A Raja to Madhu Koda to Jayalalitha to Om Prakash Chautala, there are many similar examples. 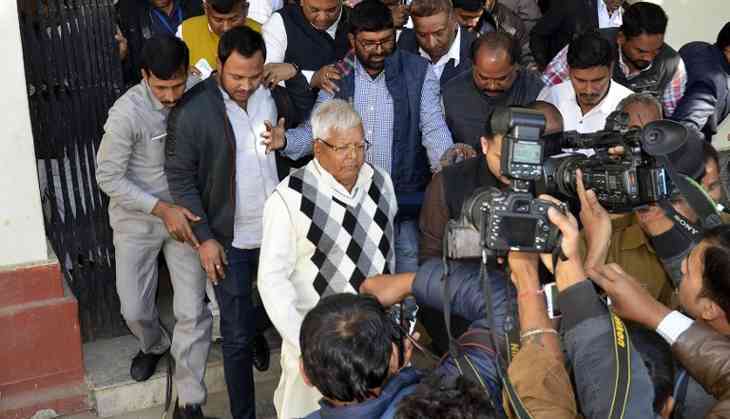 However, Lalu stands apart from all of them, in spite of sharing the dubious distinction of being not just accused of graft, but also convicted. The careers of Sukh Ram, A Raja and Madhu Koda are all but over and their names have faded from public life. Jayalalitha is no more but till she was alive, the corruption cases against her didn't dent her electoral career. Similar is the case with Chautala, with his INLD being the largest party in the opposition in Haryana even as he himself cools his heels in jail. Like Lalu, Chautala is also a leader of a subaltern community. Jats and Muslims in Haryana predominantly flock to his party, just as Yadavs and Muslims in Bihar back the RJD. For Lalu, there is the additional support of sections of Dalits as well as few non-Yadav OBC groups. The biggest difference, however, that sets him apart from Chautala and Jayalalitha is his consistent opposition to BJP and its Hindutva-based politics. Both INLD and AIADMK have been constituents of the BJP-led NDA in the past, but RJD has never allied with the BJP. Lalu has, in fact, pitted BJP as a permanent foe of socialist forces, labeling their relationship as one of struggle between the politics of “Mandal” and “kamandal”. So, is a politics of the sub-altern the magic behind the continued relevance of Lalu Yadav in Bihar? And if that is the case, will he continue to loom large over politics in the state and will spring a surprise in the next elections too? Lalu's latest conviction is likely to make the Yadavs further consolidate behind him and his party, feels Prof Naval Kishore Chaudhary, former principal, Patna College. He says Yadavs are the state's biggest vote bank and are the most politically aware, essentially explaining how Lalu's early espousal of their cause has been his biggest support so far. Additionally, in these charged times, the Muslims have no other choice in the state than RJD and Congress, Chaudharya also stressed. This M-Y combination is enough to keep Lalu ahead of all other rival forces in the state. However, Chaudhary cautioned that the real crisis for RJD will emerge if Lalu's son and former deputy chief minister Tejashwi Yadav also gets convicted in the ED's case against him. Mahendra Suman, Bihar-based political analyst, agrees that Lalu's Yadav-base will become stronger, but he says that will not be enough from saving RJD from weakening post his conviction. Suman points out that Lalu's politics has spanned over 25 years now and he has faced a sort of demonisation among the intelligentsia all this while. Historically, Suman continues, Lalu and RJD are weakening. Lalu succeeded in only the first battle of the social justice movement, by delivering power and respect for the backwards communities. However, he failed in taking the movement to its logical conclusion by also leading those communities to wealth and knowledge, Suman said. He also added that the coming up of many parties and leaders has led to erosion even in Lalu's core M-Y vote bank. Political analyst Vinod Anupam also agrees that Lalu's latest conviction will weaken the RJD and the re-entry that Lalu was making into Bihar's socio-political space will be halted. When pointed out that senior leaders like Abdul Bari Siddiqui, Jagadanand Singh, Shivanand Tiwari and others still hanging around, Anupam emphasises that Lalu never let them rise and always promoted his family over them. His sons, Anupam says, haven't matured politically yet and will find it tough to cope with the all-out assault mounted against them. He reminded that Tejashwi, Lalu's wife Rabri Davi and their daughter Misa Bharti are all facing corruption cases and Lalu's network in Bihar, like among the sand mafia and among bureaucrats, is also facing the heat. It is perhaps one of the greatest ironies of politics that careers can be built and advanced against corruption as well as in spite of it. While the Aam Aadmi Party came into existence following an anti-corruption movement, corruption has proved to be the undoing of Lalu Yadav and Rashtriya Janata Dal. However, Lalu has demonstrated repeatedly that to write his political obituary is the biggest mistake one can make. The old warhorse is still fighting. So don't be surprised if he kicks his heels up once again and gallops away to glory. Maharashtra: Congress makes overtures towards NCP. Will the alliance work? READ NEXT >> Maharashtra: Congress makes overtures towards NCP. Will the alliance work?